This is the home of Radio Sailing at Manor Park Sailing Club. We have an excellent water, with elevated unrestricted views over the course. To read the latest news from our club, about us or our members click on the Latest News tab. Or see below for more details about us and Radio Sailing. 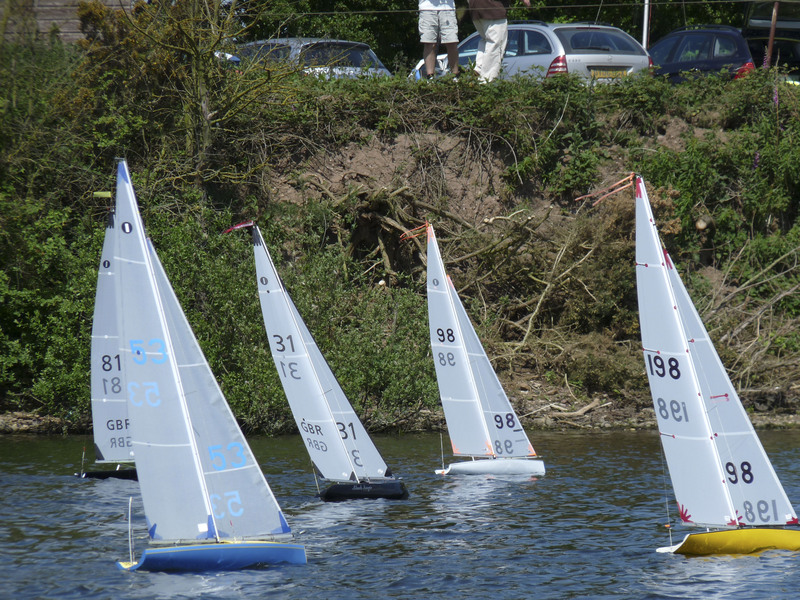 Manor Park Radio Sailing Club, an Introduction. This allows the top sailors and designers to produce a range of designs within the one class. (There is a website on the internet that has a database of designs listing over 215 different designs currently.) The same CAD software that the top keelboat designers’ use is used by IOM designers, in fact some of the top round the world yacht designers have designed IOM yachts. With three closely controlled sailing rigs, a maximum overall length and weights which are kept to within grams of the minimum weight, the emphasis is on boat set up and control, with even the smallest of changes in mast rake or sail camber being “felt” by the skipper. 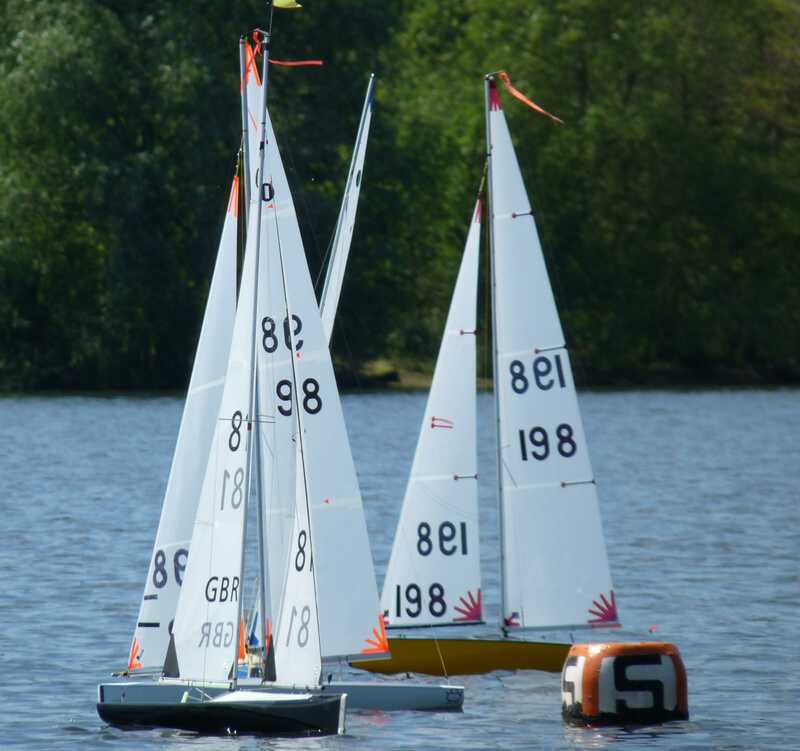 Once you get over the concept of sailing from the shore rather than in the boat, there isn’t really a lot of difference in the racing, the course that we sail is the Olympic standard “triangle and sausage” we race to the same standard racing rules with a few minor amendments. In fact the only real difference is that we can get up to 16 races in a day. If this has “wetted your appetite” please contact us via the contacts page. Visiting skippers are always welcome, and new comers can be provided with a boat for a trial sail.